Add a smoked look to your ride with this 2018-19 Mustang smoked turn signal/fog light tint kit from Anchor Room! 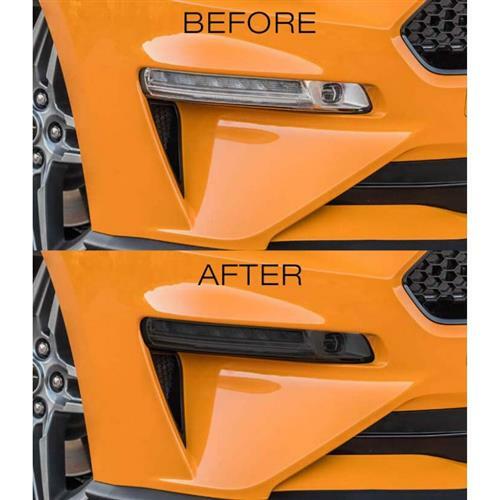 Upgrade the look of your front end with this 2018-19 Mustang smoked turn signal/fog light tint kit from Anchor Room! Don't ruin your fog lights with spray on tint, pick up this smoked turn signal/fog light tint kit for an easy to install modification, that can easily be removed at any time! 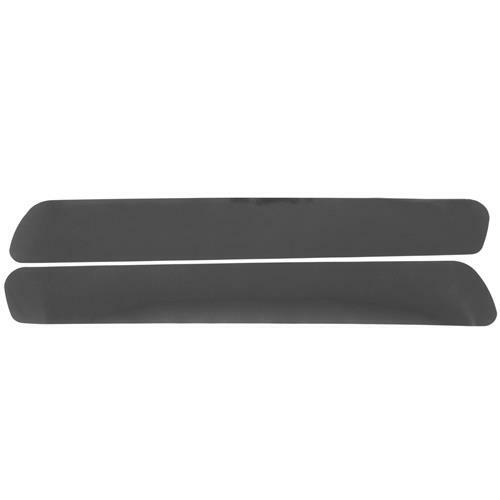 Not only does this add sleek styling to your Mustang, but it offers protection to your fog lights from rocks and other debris that could crack the lens. This tint applies over your stock fog lights and gives them a smoked look while still letting light through at night. Manufactured using computer cuts, this tint has been test fitted to perfectly cover your lights to give your car a clean, new look! 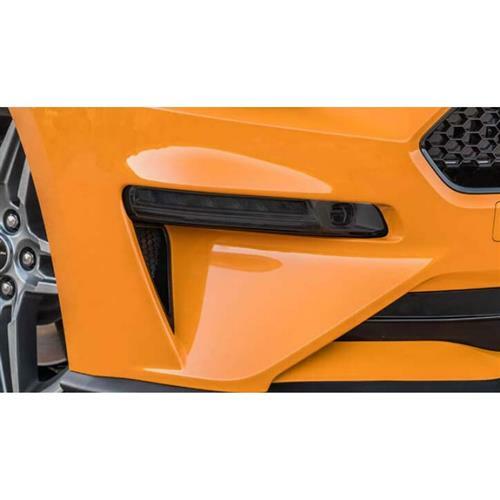 Utilizing computer cut templates, this 2018-19 Mustang smoked turn signal/fog light tint kit is sure to be a perfect fit every single time. The templates are cut from the highest quality vinyl material available on the market today, for a durable finish! Because of this, Anchor Room carries a 6-year warranty. 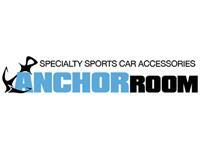 Anchor Room Smoked Turn Signal/Fog Light Tint Kit. Upgrade the look of your front end with this 2018 Mustang smoked turn signal/fog light tint kit from Anchor Room! Don't ruin your fog lights with spray on tint, pick up this smoked turn signal/fog light tint kit for an easy to install modification, that can easily be removed at any time! Not only does this add sleek styling to your Mustang, but it offers protection to your fog lights from rocks and other debris that could crack the lens. This tint applies over your stock fog lights, and gives them a smoked look while still letting light through at night. Manufactured using computer cuts, this tint has been test fitted to perfectly cover your lights to give your car a clean, new look! Utilizing computer cut templates, this 2018 Mustang smoked turn signal/fog light tint kit is sure to be a perfect fit every single time. The templates are cut from the highest quality vinyl material available on the market today, for a durable finish! Because of this, Anchor Room carries a 6 year warranty.